This weekend the most important feast on the Muslim calendar will begin, Eid al Adha (Feast of the Sacrifice). Below is a report from the Palestinian Centre on Human Rights….. can you honestly remain silent after reading this?…..Keep in mind… these incidents are from this week alone…. A Palestinian civilian died from a previous wound in the Gaza Strip. 4 Palestinian civilians, including two children, were wounded by IOF. IOF conducted 22 incursions into Palestinian communities in the West Bank. IOF arrested 37 Palestinian civilians, including 6 children. IOF have continued to impose a total siege on the OPT; IOF have isolated the Gaza Strip from the outside world and IOF positioned at various checkpoints in the West Bank arrested 3 Palestinian civilians. IOF have continued to construct the Annexation Wall inside the West Bank; IOF razed areas of Palestinian land in Um Salamouna village, south of Bethlehem, and 4 demonstrators protesting the construction of the Wall in Bal’ein village, west of Ramallah, sustained bruises when IOF soldiers beat them. IOF have continued settlement activities in the West Bank; the Israeli government approved the construction of 30 housing units in “Mashkhit” settlement to resettle 30 Israeli families from the evacuated “Gush Qatif” settlement bloc. Killing: On Thursday morning, 21 December 2006, Hamdan Mahmoud Barhoum, 24, from al-Mawasai area in Khan Yunis, died from a wound he had sustained on 13 December 2006. According to PCHR’s documentation, Barhoum was seriously wounded by shrapnel from live bullets throughout the body, when IOF gunboats positioned opposite to Rafah seashore opened fire at a fishing boat on which Barhoum and two other fishermen were sailing. The three fishermen were wounded, but Barhoum was in a serious condition. During the reporting period, a Palestinian farmer was wounded by the IOF gunfire in the northern Gaza Strip. In the West Bank, 3 Palestinian civilians, including two children, were wounded in Qabatya village, southeast of Jenin, on 25 December 2006, when IOF soldiers who besieged a house in the village fired at civilians who threw stones at military vehicles. Incursions: During the reporting period, IOF conducted at least 22 military incursions into Palestinian communities in the West Bank, during which they raided houses and arrested 37 Palestinian civilians, including 6 children. IOF also raided offices of the Islamic Association in Beit Sahour town and a medical center in Beit ‘Awa village, southwest of Hebron, claiming that they were looking for wanted Palestinians. Restrictions on Movement: IOF have continued to impose a tightened siege on the OPT and imposed severe restrictions on the movement of Palestinian civilians in the Gaza Strip and the West Bank, including occupied East Jerusalem. IOF have imposed a strict siege on the Gaza Strip. They have closed its border crossings as a form of collective punishment against Palestinian civilians. IOF have closed Rafah International Crossing Point since 25 June 2006, even though they do not directly control it. During the reporting period, the crossing point was not opened. IOF have partially reopened commercial crossings, especially al-Mentar (Karni) crossing, but many goods and medical supplies have been lacked in markets in the Gaza Strip. IOF have also continued to close Erez crossing in the northern Gaza Strip. Hundreds of thousands of Palestinians from the Gaza Strip have been prevented from traveling through this crossing. IOF have allowed international workers to pass through the crossing. With this closure, only few Palestinian patients have been able to travel to hospitals in Israel and the West Bank. In addition, IOF have continued to prevent Palestinian fishermen from fishing for nearly 6 months. IOF have tightened the siege imposed on Palestinian communities in the West Bank. They have isolated Jerusalem from the rest of the West Bank. IOF positioned at various checkpoints in the West Bank have continued to impose severe restrictions on the movement of Palestinian civilians. Contrary to promises vowed by the Israeli Prime Minister, Ehud Olmert, to Palestinian President, Mahmoud Abbas, during their summit in Jerusalem on 23 December 2006 to ease the movement of Palestinian civilians, Israeli media sources reported that the Israeli Defense Minister, Amir Perets, rejected a plan to dismantle 27 checkpoints in the West Bank. During the reporting period, IOF soldiers positioned at various checkpoints in the West Bank arrested 3 Palestinian civilians. Annexation Wall: IOF have continued to construct the Annexation Wall inside the West Bank. On 26 December 2006, IOF started to raze areas of Palestinian land in Um Salamouna village, south of Bethlehem, to construct a section of the Wall. It is worth noting that on 3 September 2006, IOF issued a military order seizing 152 donums of land in Um Salmouna village to be used for “military purposes to establish a fence and a number of secure roads.” During the reporting period, IOF used force against Palestinian civilians and international and Israeli solidarity activists who demonstrated in protest to the construction of the Wall in Bal’ein village, west of Ramallah. Four demonstrators sustained bruises. Illegal Settler Activities: On 26 December 2006, IOF started to place barbwires along a settler road that passes through Jenata village, southeast of Bethlehem. According to local sources, IOF closed the areas located near the road and started to place barbwires along it. During the reporting period, Israeli media sources reported the Israeli Defense Ministry approved the resettlement of Israeli families evacuated from the “Gush Qatif” settlement bloc in the Gaza Strip in 2005 in a deserted settlement in the northern Jordan Valley on the Palestinian side of the Annexation Wall. According to those sources, the ministry approved the construction of 30 housing unit in the settlement, which is known as “Mashkhit”, and 30 Israeli families evacuated from the “Gush Qatif” settlement bloc would be settled in those units. Furthermore, the Israeli Attorney-General declared that he would initiate a criminal investigation into the construction of settlements on private Palestinian land. This declaration came in response to a demand by the Israeli Peace Now to conduct a criminal investigation into the robbery private Palestinian land to build settlement. According to Peace Now, private Palestinian land accounts for 40% of land used for Israeli settlements in the West Bank. 484 Palestinians, 307 of whom are civilians, including 92 children and 30 women, have been killed by IOF. In the Gaza Strip alone, 405 Palestinians, 243 of whom are civilians, including 84 children, 28 women and 4 paramedics, haven been killed by IOF. At least 1632 Palestinians, mostly civilians, including 347 children, 110 women. In the Gaza Strip alone, 1276 Palestinians, mostly civilians, including 345 children, 104 women, 4 paramedics and 7 journalist, have been wounded by the IOF gunfire. At least 328 air-to-surface missiles and hundreds of artillery shells have been fired at Palestinian civilian and military targets in the Gaza Strip. Buildings of the Palestinian Ministry of Interior, the Ministry of Foreign Affairs and the Ministry of National economy, the office of the Palestinian Prime Minister and a number of educational institutions have been destroyed. The electricity generation plant, providing 45% of the electricity of the Gaza Strip, was destroyed, and electricity networks and transmitters have been repeatedly attacked. 6 bridges linking Gaza City with the central Gaza Strip and a number of roads have been destroyed. Hundreds of donums of agricultural land and dozens of houses have been destroyed. Hundreds of Palestinian civilians, including 10 ministers and 31 members of the Palestinian Legislative Council (PLC), including the Speaker, Deputy Speaker and Secretary, have been arrested. Minster of Prisoners’ Affairs, Deputy Prime Minister, Minister of Labor and Second Deputy Speaker of the PLC were released. The Palestinian governmental compound in Nablus has been destroyed. Many families in Rafah, Beit Hanoun and Beit Lahia have been forced to leave their houses. IOF intelligence has warned some Palestinian civilians in the Gaza Strip by phone to evacuate their houses, which would be attacked. 73 houses belonging to activists of Palestinian factions have been destroyed by IOF warplanes. IOF have imposed a strict siege on the OPT, and have isolated the Gaza Strip from the outside world. At approximately 02:00, IOF moved into Beit Sahour town. They raided and searched offices of the Islamic Association. Also at approximately 02:00, IOF moved into al-Duhaisha refugee camp, south of Bethlehem. They raided and searched a house belonging to Mohammed Ibrahim Salama, 35, and arrested him. At approximately 06:00, medical sources at the Gaza European Hospital in Khan Yunis declared that Hamdan Mahmoud Barhoum, 24, from al-Mawasai area in Khan Yunis, died from a wound he had sustained on 13 December 2006. According to PCHR’s documentation, Barhoum was seriously wounded by shrapnel from live bullets throughout the body, when IOF gunboats positioned opposite to Rafah seashore opened fire at a fishing boat on which Barhoum and two other fishermen were sailing. The three fishermen were wounded, but Barhoum was in a serious condition. He was evacuated to the intensive care unit at the Gaza European Hospital, where he had received medical treatment until the time he died. At approximately 23:30, IOF moved into Bani Na’im village, east of Hebron. They raided and searched a house belonging to Kayed Hmaidan Taraira, 50, and arrested him. At approximately 01:00, IOF moved into Tulkarm town and refugee camp and the neighboring Ektaba suburb. They patrolled in the streets. They withdrew at 06:00, and no arrests were reported. 4. Ayoub ‘Abed Khalil, 16. In the evening, IOF moved into al-Jab’a village, southwest of Hebron. They closed the entrances if he village and imposed a curfew. They raided and searched dozens of houses, claiming that they were looking for young men who threw Molotov Cocktail bottles at military vehicles. IOF withdrew on the following day morning and no arrests were reported. 3. Ahmed Tayseer Tazaz’a, 15, wounded by shrapnel to the head. 9. Diaa’ Ibrahim Saba’na, 20, a police officer. At approximately 01:00, IOF moved into Qalqilya. They raided and searched a number of houses and arrested Rafeeq ‘Abdullah Noufal, 19. Also at approximately 01:00, IOF moved into Hijja village, southeast of Qalqilya. They raided and searched a house belonging to the family of Ahmed ‘Abdul Hadi Tayoun, 23, and arrested him. Also at approximately 01:00, IOF moved into al-‘Eizariya village, east of Jerusalem. They raided and searched a house belonging to the family of Hakam Mujahed Abu Roumi, 18, and arrested him. At approximately 01:15, IOF moved into Beit ‘Awa village, southwest of Hebron. They raided and searched the medical center in the village, claiming that they were looking for wanted Palestinians. During the raid, IOF held the medical crew of the center. IOF withdrew from the village two hours later and no arrests were reported. At approximately 01:30, IOF moved into al-Khader village, south of Bethlehem. They raided and searched a house belonging to the family of Mustafa Salem Salah, 20, and arrested him. Also at approximately 01:30, IOF moved into ‘Aaida refugee camp, north of Bethlehem. They raided and searched a house belonging to the family of Mahmoud Rida Harazallah, 18, and arrested him. 2. Fadel Mohammed Abu ‘Arram, 35. At approximately 03:20, an IOF undercover unit moved into Jenin, traveling in a civilian vehicle with a Palestinian registration plate. The car stopped near a house belonging to Eyad al-Sayed, 43, in Wad ‘Izziddin neighborhood. IOF soldiers got out of the vehicle and besieged the house. Soon after, IOF military vehicles arrived at the area. IOF soldiers raided and searched the house, and arrested al-Sayed and Mahmoud Sa’id al-Sa’di, 27. At approximately 09:15, IOF positioned at the border between the Gaza Strip and Israel to east of Beit Lahia town in the north of the Gaza Strip fired for no apparent reason at Isma’il Sa’d Ghaben, 27, when he was on his agricultural land. He was wounded by a live bullet to the right leg. PCHR has documented 9 cases of shooting by IOF at Palestinian farmers in the northern Gaza Strip since the beginning of the current Israeli-Palestinian truce. At approximately 01:00, IOF moved into al-Khader village, south of Bethlehem. They raided and searched a house belonging to the family of ‘Ali Jom’a Salah, 19, and arrested him. 2. Mohammed Ahmed Waked, 19. At approximately 01:30, IOF moved into ‘Aaida refugee camp, north of Bethlehem. They raided and searched a house belonging to the family of Ahmed Yousef Abu Hadu, 17, and arrested him. 4. Ahmed Abu Salha, 22. 3. Anas As’ad Laban, 26. Also at approximately 02:30, IOF moved into Ethna village, west of Hebron. They raided and searched a number of houses and arrested ‘Arafat ‘Abdul ‘Alim al-Nattah, 27, and arrested him. IOF have continued to impose a tightened siege on the OPT and imposed severe restrictions on the movement of Palestinian civilians in the Gaza Strip and the West Bank, including Occupied East Jerusalem. IOF have continued to close all border crossings of the Gaza Strip. During the reporting period, these crossings were partially reopened to allow the entry of basic foodstuffs, medical supplies and other necessities into the Gaza Strip. The total siege imposed by IOF on the Gaza Strip has left disastrous impacts on the humanitarian situation and has violated the economic and social rights of the Palestinian civilian population, particularly the rights to appropriate living conditions, health and education. It has also paralyzed most economic sectors. Furthermore, severe restrictions have been imposed on the movement of the Palestinian civilian population. Rafah International Crossing Point: Rafah International Crossing Point on the Egyptian border is the sole outlet for the Gaza Strip to the outside world. IOF have closed Rafah International Crossing Point, even though they do not directly control it. They have prevented European observers working at the crossing point form reaching it. The crossing point has been closed since 25 June 2006. On 15 November 2006, the Palestinian – Israeli agreement on border crossing, which was concluded under US and European supervision, expired. Under this agreement, IOF have maintained indirect control over of the crossing point. The European observation team working at the crossing point extended their task for additional 6 months. On 15 November 2005, the Palestinian National Authority (PNA) and Israel reached an agreement over the border crossings of the Gaza Strip. Under the agreement, on 25 November 2005, the Rafah International Crossing Point, on the Egyptian border in the south of the Gaza Strip, was opened for civilian travel to Egypt and the rest of the world. The Palestinians and European Union (EU) observers would run the Palestinian side of the crossing point. In addition, the EU observers would transmit live images to a joint control room several kilometers away. The EU observers repeated withdrew from the crossing following receiving warnings from IOF that there were threats to them. However, all warnings proved to be void, and the observers resumed their work. Beit Hanoun (Erez) Crossing: IOF have completely closed Beit Hanoun (Erez) crossing, which links the Gaza Strip with Israel and the West Bank. Before this latest closure, IOF had prevented Palestinian workers from reaching their work places inside Israel through Beit Hanoun (Erez) crossing since 12 March 2006. Hundreds of thousands of Palestinians from the Gaza Strip had been prevented from traveling through this crossing. IOF have allowed international workers to pass through the crossing. With this closure, few Palestinian patients have been able to travel to hospitals in Israel and the West Bank. IOF have prevented Palestinian female patients aged under 40 from passing through the crossing, even though most of these patients are in serious conditions and suffer from serious diseases. During the reporting period, IOF issued 510 permits to Palestinian Christians from the Gaza Strip to travel to the West Bank to celebrate Christmas, where as they rejected 12 permit applications for no apparent reason, and have not given any response to 67 others. Al-Mentar (Karni) Commercial Crossing: IOF have closed the crossing, which is the main commercial crossing for the Gaza Strip. As a consequence, the economic situation inside the Gaza Strip has further deteriorated and many goods have been lacked in markets. During the reporting period, IOF partially reopened the crossing. They allowed the importation of foodstuffs and medicines into the Gaza Strip, and the exportation of some goods from the Gaza Strip to Israel and the West Bank. Prices of goods have increased due to the increase in transportation costs at the crossing; the transportation cost of a container has increased from 2,000 NIS to 9,000 NIS. Sofa Crossing: During the reporting period, IOF partially reopened Sofa crossing, northeast of Rafaha, for 6 days allowing the entry of aggregate. However, IOF have continued to close Karm Abu Salem (Kerem Shalom) crossing. The closure of border crossings deprives the Palestinian civilian population in the Gaza Strip of their right to freedom of movement, education and health. IOF have continued to impose severe restrictions on fishing in the Gaza Strip. Following the attack on IOF on 25 June 2006, IOF prevented fishing. Approximately 35,000 people in and around Gaza’s coastal communities rely on the fishing industry, including 2,500 fishermen, 2,500 support staff and their families. Fishermen have been subjected to intensive monitoring by IOF, which use helicopter gunships and gunboats to monitor the fishermen. The Oslo Accords allow Palestinian fishermen to go fishing up to 20 nautical miles away from the Gaza seashore. IOF have imposed a tightened siege on the West Bank. They have continued to impose severe restrictions on the movement of Palestinian civilians and imposed curfews on a number of Palestinian communities. Jerusalem: On the eve of Christmas and the Eid al-Adha, IOF imposed additional restrictions in the movement of Palestinian civilians inside and around the city. According to eyewitnesses, IOF soldiers positioned at checkpoints on the roads leading to the city conducted prolonged and humiliating checking on Palestinian civilians. They also prevented dozens of civilians from entering the city although they have valid entry permits. Bethlehem: Thousands of Palestinians were not able to enter the town to celebrate Christmas due to restrictions imposed by IOF on the movement of Palestinian civilians. On Saturday noon, 23 December 2006, IOF erected a checkpoint on Bethlehem – al-Obaidiya road, which links between the south and center of the West Bank. They stopped and searched Palestinian civilian vehicles and prevented a number of civilians from passing through the checkpoint. On Sunday evening, 24 December 2006, IOF closed the western and southern entrances of Bethlehem and Beit Jala, thus cutting off the two towns from Hebron and villages located to the west and south of the two towns. Ramallah: IOF have continued to impose severe restrictions on the movement of Palestinian civilians at various checkpoints around the town, especially ‘Attara checkpoint, north of the town. On Saturday morning, 23 December 2006, IOF soldiers positioned at ‘Attara checkpoint imposed severe restrictions on the movement of Palestinian civilians coming from the northern West Bank towards Ramallah. On Monday morning, 25 December 2006, IOF soldiers positioned at Jaba’ checkpoint, southeast of Ramallah, stropped and searched hundreds of Palestinian civilians vehicles. Hebron: IOF have continued to impose severe restrictions on the movement of Palestinian civilians inside and outside Hebron. During the reporting period, IOF erected a number of checkpoints in addition those permanent ones inside the town. They stopped, checked and interrogated Palestinian civilians. On Friday and Saturday, 22 and 23 December 2006, IOF soldiers stopped, checked and interrogated hundreds of Palestinian civilians. They also prevented civilians aged under 35 from passing through checkpoints. On Saturday morning, IOF closed al-Sikka road, which links Hebron with Halhoul town in the north. They also imposed additional restrictions on the movement of Palestinian civilians to and from the town. On Thursday noon, 21 December 2006, IOF soldiers permanently positioned in the center and south of Hebron arrested two Palestinian civilians: Isma’il ‘Awad al-Khatib, 22; and Ra’ef Mohammed al-Najjar, 26. On the same day evening, IOF soldiers positioned in the south of Hebron arrested Ussama ‘Abdul Rahim al-Muhtasseb, 21. Tulkarm: IOF have continued to impose severe restrictions on the movement of Palestinian civilians. On Thursday morning, 21 December 2006, IOF erected a checkpoint on Tulkarm – Nablus road, east of the town. They stopped and searched Palestinian civilian vehicles. On Friday, 22 December 2006, IOF soldiers positioned at Ennab checkpoint, east of Tulkarm, and Wad al-Teen checkpoint, south of the town, prevented Palestinians aged under 35 from passing through the checkpoint. Dozens of young men were forced to resort to alternative dirt roads. However, IOF soldiers chased, beat and detained a number of them for several hours. On Saturday morning, 23 December 2006, IOF erected a checkpoint at Far’oun intersection, south of Tulkarm, and another one at Beit Leed intersection, east of the town. They stopped and searched Palestinian civilian vehicles. On Sunday, 24 December 2006, IOF erected a checkpoint at the entrance of al-Ras village, south of Tulkarm. They stopped and searched Palestinian civilian vehicles. They also held and checked young men and children. On Sunday evening, IOF closed all checkpoints surrounding Tulkarm. They also erected a checkpoint at the entrance of Ektaba suburb, east of the town. At approximately 06:00 on Monday, IOF closed Wad al-Teen checkpoint, south of Tulkarm, and prevented Palestinian civilians from passing through it. On Tuesday noon, 26 December 2006, IOF closed Ennab checkpoint, east of Tulkarm, and prevented Palestinian civilians from traveling to the town. IOF have continued to construct the Annexation Wall inside West Bank territory. At approximately 13:00 on Friday, 22 December 2006, about 300 Palestinian civilians and international and Israeli solidarity activists demonstrated in protest to the construction of the Wall in Bal’ein village, west of Ramallah. IOF soldiers positioned near the Wall fired rubber-coated metal bullets, sound bombes and tear gas canisters at the demonstrators. IOF soldiers then beat a number of demonstrators. As a result, 4 demonstrators (3 Palestinian civilians and a Spanish solidarity activist) sustained bruises. On Tuesday morning, 26 December 2006, IOF started to raze areas of Palestinian land in Um Salamouna village, south of Bethlehem, to construct a section of the Wall. It is worth noting that on 3 September 2006, IOF issued a military order seizing 152 donums of land in Um Salmouna village to be used for “military purposes to establish a fence and a number of secure roads.” According to local sources, the seizure of land aimed to construct a section of the Wall in the area, and establish a settler bypass road. On 9 November 2006, IOF surveillance teams started to survey on the lands of the village. According to local sources, the surveyed areas of land were to be razed to establish a crossing point separating the village from neighboring villages and from the Wall. The establishment of such crossing point would force residents of the village to use much longer roads to travel to Bethlehem. On Tuesday, 26 December 2006, IOF started to place barbwires along the settler road that passes through Jenata village, southeast of Bethlehem. According to local sources, IOF closed the areas located near the road and started to place barbwires along it. Also on Tuesday, 26 December 2006, the Israeli daily Ha’aretz reported the Israeli Defense Ministry approved the resettlement of Israeli families evacuated from the “Gush Qatif” settlement bloc in the Gaza Strip in 2005 in a deserted settlement in the northern Jordan Valley on the Palestinian side of the Annexation Wall. According to the newspaper, the ministry approved the construction of 30 housing unit in the settlement, which is known as “Mashkhit” and served in the past as a military college, and 30 Israeli families evacuated from the “Gush Qatif” settlement bloc would be settled in those units. The Head of the Regional Council of the Jordan Valley, Dubi Tal, stated that permission was obtained and the construction would start in two weeks. He further pointed out that the plan to resettle Israeli settlers in the Jordan Valley was initially approved by Elan Cohen, the former director general of the Israeli cabinet during when the former Israeli Prime Minister Ariel Sharon was in office. This plan was approved by the current Israeli Defense Minister Amir Perets. It is worth noting that the Israeli GOC Central Command Yair Naveh approved a plan in May 2006 to expand 4 settlements in the West Bank: “Pitar Elite; Giv’at Ze’ev; Unranit; and Mashkhit”. The Israeli Attorney-General Manny Mazoz declared that he would initiate a criminal investigation into the construction of settlements on private Palestinian land. Mazoz’s declaration came in response to a demand by the Israeli Peace Now to conduct a criminal investigation into the robbery private Palestinian land to build settlement. Peace Now declared in a press conference held on 21 November 2006 that private Palestinian land accounts for 40% of land used for settlements in the West Bank (around 60 thousand dunoms). Settlements have been built on 157 thousand donums, including at least 61 thousand donums of private Palestinian land; 9000 donums of land which are in the final stages to be registered as state land; two thousand donums of Jewish-owned land; and 85 thousand donums of “state land”. Also according to Peace Now, at least 40% of the land used for settlement blocs located to the west of the Annexation Wall are private Palestinian land. Those settlement blocs stand on nearly 74 thousand donums of land, including at least 30 thousand donums of private Palestinian land. According to Peace Now, private Palestinian land constitute 86.4% of the land on which “Ma’ale Adomim” settlement stand; 35.1% of “Ariel” settlement; and 93% of “Oufra” settlement. PCHR calls upon the High Contracting Parties to the Fourth Geneva Convention to fulfill their legal and moral obligations under Article 1 of the Convention to ensure Israel’s respect for the Convention in the Occupied Palestinian Territory. 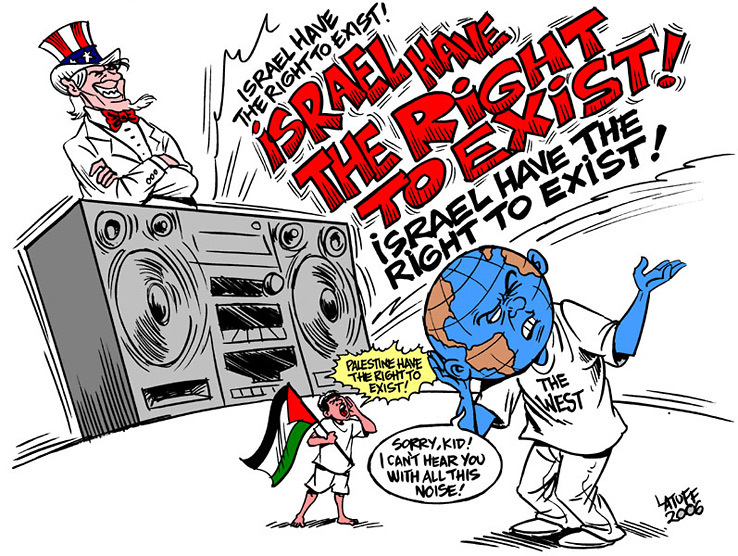 PCHR believes that the conspiracy of silence practiced by the international community has encouraged Israel to act as if it is above the law and encourages Israel continue to violate international human rights and humanitarian law. PCHR calls upon the High Contracting Parties to the Fourth Geneva Convention to convene a conference to take effective steps to ensure Israel’s respect of the Convention in the OPT and to provide immediate protection for Palestinian civilians. PCHR calls upon the High Contracting Parties to the Fourth Geneva Convention to comply with its legal obligations detailed in Article 146 of the Convention to search for and prosecute those responsible for grave breaches, namely war crimes. PCHR recommends international civil society organizations, including human rights organizations, bar associations and NGOs to participate in the process of exposing those accused of grave breaches of international law and to urge their governments to bring these people to justice. PCHR calls upon the European Union to activate Article 2 of the Euro-Israel Association Agreement, which provides that Israel must respect human rights as a precondition for economic cooperation between the EU states and Israel. PCHR further calls upon the EU states to prohibit import of goods produced in illegal Israeli settlements in the OPT. PCHR calls upon the member States of the EU, and all other states, to adopt a voting pattern at the UN bodies, particularly the General Assembly, Security Council and Commission on Human Rights which is keeping with international law. PCHR demands that the International Court of Justice Advisory Opinion be immediately implemented by the international community. PCHR calls on the international community to recognize the Gaza disengagement plan, which was implemented last year, for what it is – not an end to occupation but a compounding of the occupation and the humanitarian crisis in the Gaza Strip. In recognition of ICRC as the guardian of the Fourth Geneva Convention, PCHR calls upon the ICRC to increase its staff and activities in the OPT, including the facilitation of family visitations to Palestinian prisoners in Israeli jails. PCHR appreciates the efforts of international civil society, including human rights organizations, bar associations, unions and NGOs, and urges them to continue their role in pressuring their governments to secure Israel’s respect for human rights in the OPT and to end its attacks on Palestinian civilians. In light of the severe restrictions imposed by the Israeli government and its occupying forces on access for international organizations to the OPT, PCHR calls upon European countries to deal with Israeli citizens in a similar manner. PCHR reiterates that any political settlement not based on international human rights law and humanitarian law cannot lead to a peaceful and just solution of the Palestinian question. Rather, such an arrangement can only lead to further suffering and instability in the region. Any peace agreement or process must be based on respect for international law, including international human rights and humanitarian law. The Palestinian Centre for Human Rights (PCHR) is an independent legal body based in Gaza City dedicated to protecting human rights, promoting the rule of law and upholding democratic principles in the Occupied Palestinian Territory. 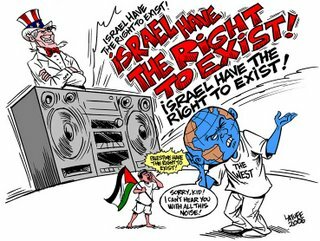 It holds Special Consultative Status with the Economic and Social Council (ECOSOC) of the United Nations and is an affiliate of the International Commission of Jurists, the Federation Internationale des Ligues des Droits de l’Homme (FIDH), and the Euro-Mediterranean Human Rights Network. PCHR is a recipient of the 1996 French Republic Award for Human Rights. “Article 33. No protected person may be punished for an offence he or she has not personally committed. Collective penalties and likewise all measures of intimidation or of terrorism are prohibited. Under the 1949 Geneva Conventions collective punishments are a war crime. It is more than disgusting that Israel clearly commits war crimes which were embodied into international law based primarily on the behaviour of the German Nazi regime in WWII. As far s your last sentence goes… I think the silence of the world id just as disgusting… in cases like this, SILENCE IS GUILT! That last bit about lawsuits reminds me of how we finally got old Al Capone. We didn’t put him in jail for murdering people or for conducting gang wars in the streets. We brought him up on tax evasion. The rest was too hard to prove. Same goes for the fascists who run Israel and American Jews who blindly support them. We’ll get you on some other charge than running gang wars and murdering people. But justice will be served. As long as justice is served Servant… that’s all that really matters. good cartoons although they forget that Palestine also recieves funding from the west. I think it was a couple months ago there was a mass strike because Hamas couldn’t pay government wages because the US pulled its funding. Now the west and Israel funnels dollars to Abbas… not to the elected government led by Hamas. It’s all to weaken Hamas… but in the long run will strengthen the.